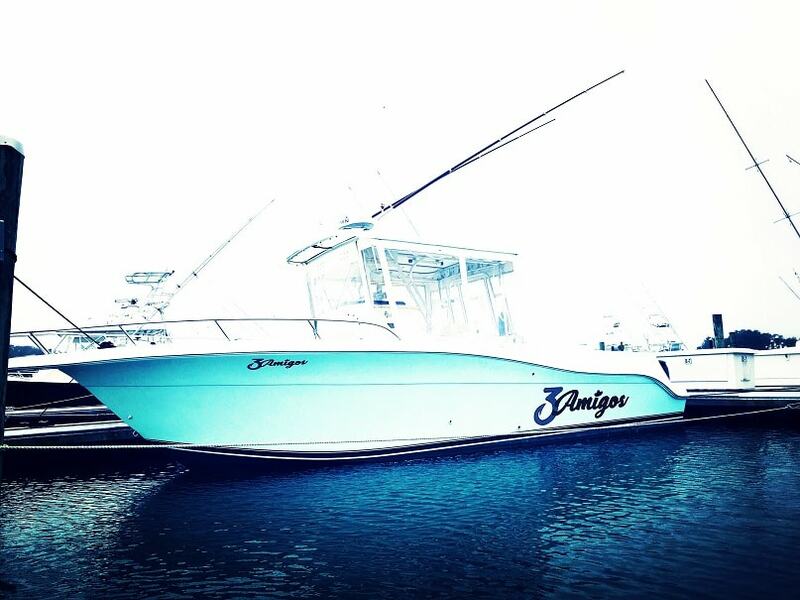 3 Amigo’s Sportfishing is dedicated to providing clients with a safe, exhilarating , productive charter experience. 3 Amigo’s Sportfishing will never discriminate against anyone, regardless of race, nationality, age, gender, or sexual preference. 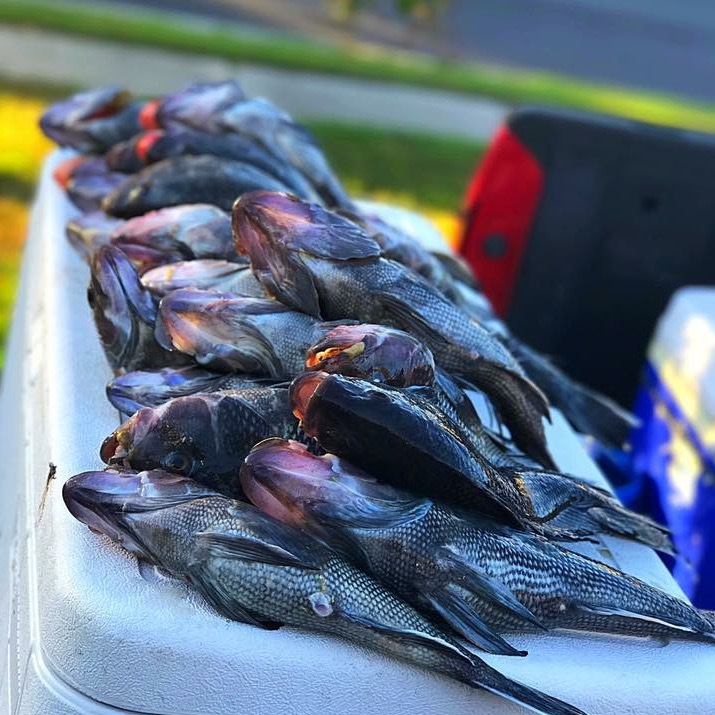 We are passionate about fishing and we look forward to sharing it with you and our goal is for you to have fun and enjoy your time on the water. On board the “3 Amigo’s” you will have a captain that is experienced in traversing the seas as well as finding the fish that we are targeting. In addition to being able to run the cockpit for the day of fishing, your mate will be familiar with safety procedures and work hard to ensure your comfort. 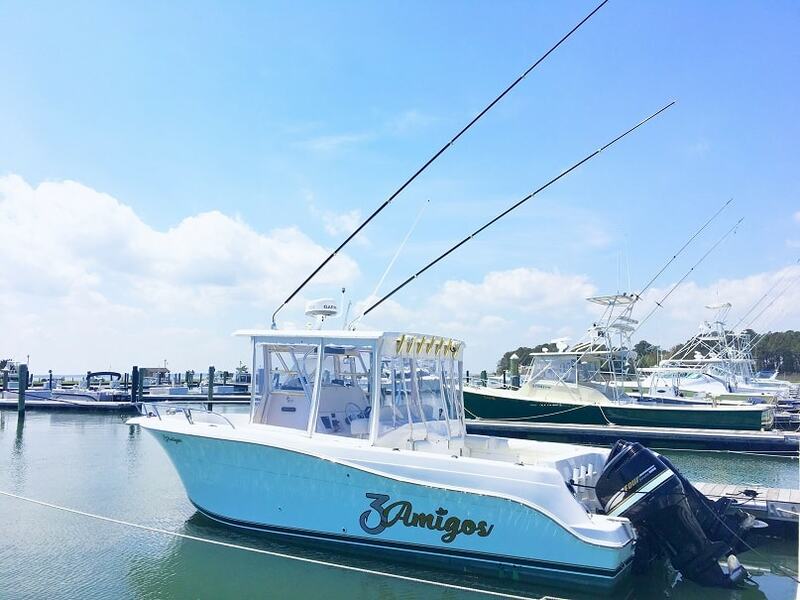 3 Amigo Sportfishing welcomes anglers to be as “hands on” as they would like to be. If you’d like to watch how we rig and familiarize yourself with some of our tactics we’d enjoy showing you. If you’d like to “gaff” a fish we’ll let you! Questions are encouraged! Choose between a five or eight hour charter. We will be in search of Flounder, Sea Bass, Bluefish, Croaker, Tog, and Rockfish. Alternatively, we offer an eight hour inshore charter for catching Sharks. 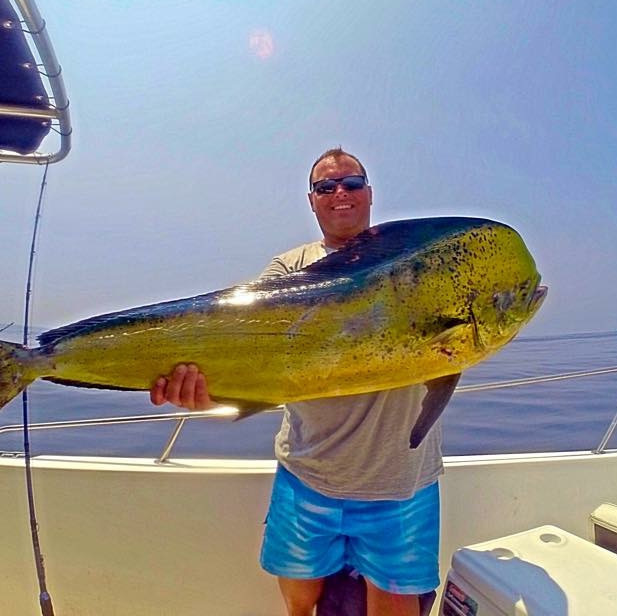 Our offshore options include a 10-12 hour Chunk / Troll in search of Tuna, Mahi, Wahoo, Billfish, and Tilefish. 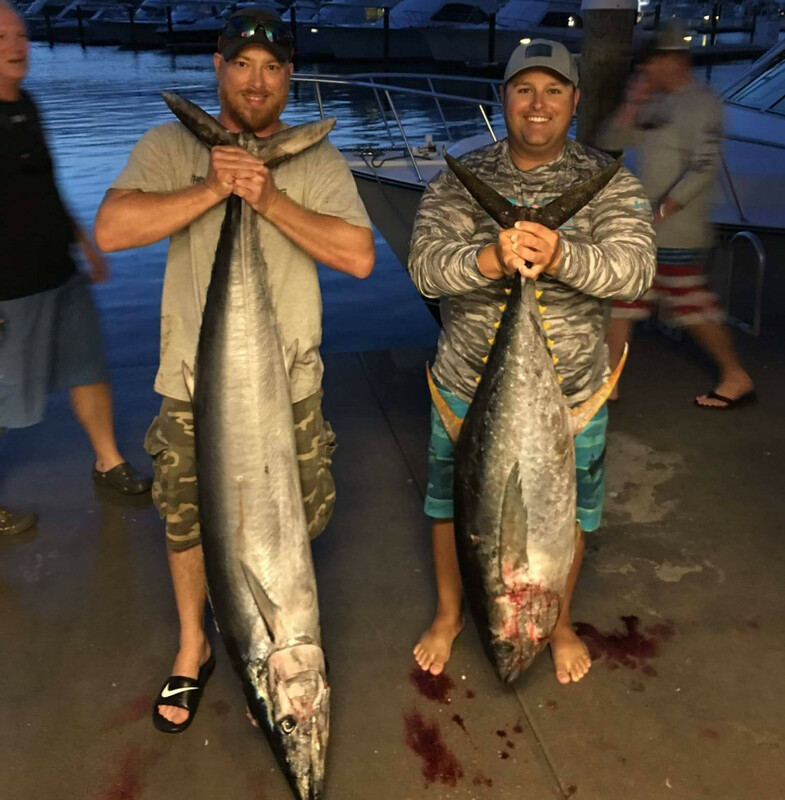 We also offer a 12-13 hour Big Eye Tuna special! Our most exciting package is an overnight 16 hour Troll / Chunk! 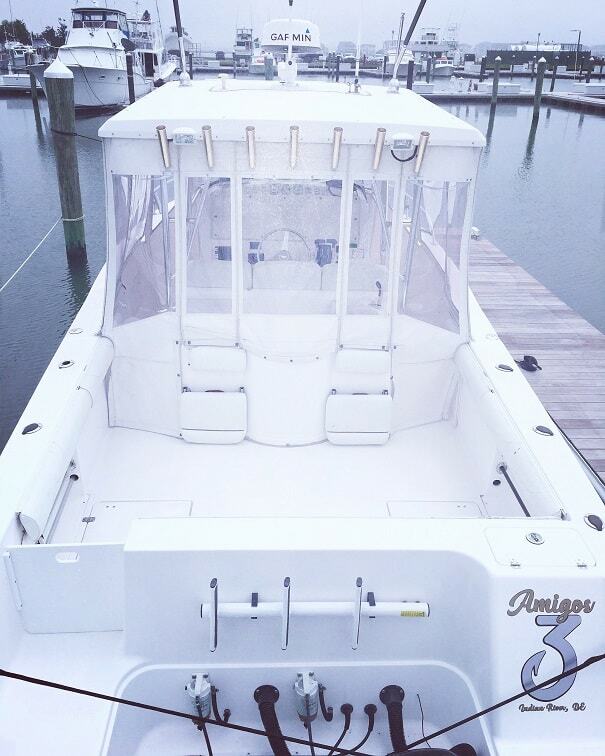 The "3 Amgios" is a 31' Pro Sports center console equipped with a full head, Twin 250hp Suzuki 4 Stroke engines, 22' outriggers, Dual 10" Garmin GPS / Plotter Combos, Garmin 4G HD 48 mile radar as well as an Airmar 1KW transducer and Ray Marine auto pilot. The "3 Amigos" uses some of the best equipment on the market made by Shimano, Avet, Pinnacle Marine, Jerry Brown, Aftco, Joe Shute, Islander Lures, Chatter Lures, Black Bart and Squid Nation. The 3 Amigos vessel is able to cruise to the fishing grounds at 28 knots (32.2mph) which will shorten the run and you will be comfortably seated in Ocean Tamer long neck bean bags. This vessel is also equipped with a full helm enclosure that will keep you dry and comfortable in less than optimal conditions as well as on the cold days. 3 Amigos Sportfishing © .